Retirees, Alma Rosales says, are too often overlooked--and too often underestimate themselves--as resources that can inspire and mentor the workforce. Retired people have an abundance of time and a vast range of knowledge waiting to be tapped by someone looking to better themselves. 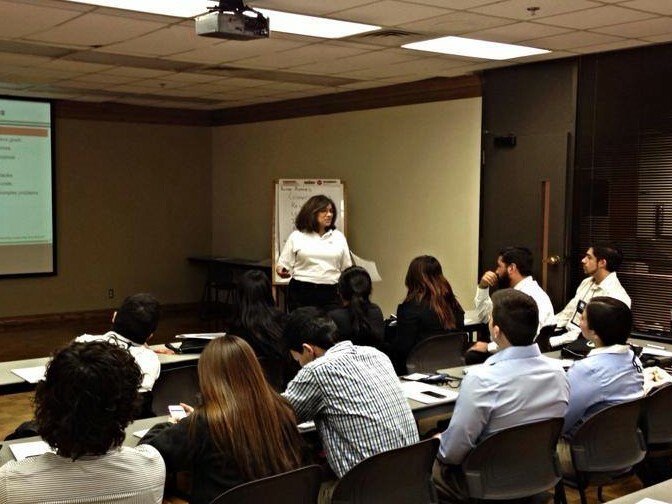 Alma, a former IBM executive, has set out to help students develop their professional skills. At the GlobalMindED conference, Alma will contribute her thoughts to a panel discussion of increasing diversity in the STEM talent pipeline. Alma has particularly deep insights because of the obstacles she overcame as the first in her family to graduate from college. Growing up, her parents always wanted her to succeed. However, Alma points out that her vision of success and her parents didn't always align: "as much as my parents stressed education, their dream for me was that I achieve success by becoming an office administrative worker. They did not understand my desire to go to college or why I was taking classes like calculus, advanced chemistry, and physics while in high school." When asked if she resented them for not encouraging more, she simply says no, because "In my parent's reality, they could not imagine a world where their daughter could achieve her dreams of college and career success. They were trying to protect me from impossible dreams." Even so, Alma won a scholarship to pursue mathematics at the University of Texas. She went on to receive both a BA and MA from UT-Austin. While at UT-Austin she also took electrical engineering and computer classes, simply because "I loved the challenges these classes offered me." This, in addition to her master's degree, led her to land a job at IBM as a computer programmer. Alma says that this didn't immediately lead her to reach her potential. Instead, "When I started working for IBM, my only career goal was to do a good job. I did not have any goals of becoming a leader or a manager, and being an executive someday never entered my mind. My parents' advice was to work hard and not make waves." Additionally, she says that it was a challenge to prove to others that a Latina female could be an asset. While this was a struggle, Alma did her best to turn this into an opportunity for growth. "When walking into meetings, I used to experience an awkward feeling of being the only female there, and knowing that all eyes are on you. Later I realized that I could use this to my advantage, because my comments would be remembered." Eventually her hard work and drive paid off when she was offered a management position. She accepted the position and while she enjoyed it, she also felt a lot of pressure to succeed. "I was the first female manager in my organization, managing an all-male team. I had no female role models or mentors to call upon. Being the "first", I felt a lot of pressure to succeed - not just for me, but for all the women that would be following in my path someday. If I failed, I believed that I would make it harder for those coming behind me." Failing was never something she was good at, though, and she points out that "I worked my way up to be an executive in the software supply chain, managing around 300 people in 20 locations around the world." It was during this period that she also developed a passion for helping other develop their professional skills. Alma says that she saw "too many talented professionals get stuck in lower level positions because they lacked the professional skills to succeed." To combat this, she helped develop the Professional Learning Institute at Colorado State University while she was an executive on loan there. A year later, she retired from IBM after 32 years and started RS&Associates (RSA) which focuses on professional skills development for STEM students and professionals. Currently, Alma is "once again working part time with CSU, in addition to my continuing work with RSA. I am working with a very talented team from the Electrical and Computer Engineering (ECE) department on how to dramatically improve engineering education. One of our goals is to integrate professional skills development into the ECE engineering curriculum." Be bold with your goals. Why shouldn't it be you in the top leadership positions? Why not you? Be fearless and relentless in pursuing those goals. Have faith in your own ability. Treat everyone, from the janitor to the CEO, with respect. Remember that even if you are not the "first" female leader or manager, there will still be many women coming behind you that are counting on you to be a trailblazer. We have yet to break the glass ceiling. Do your best to help shatter that glass for you and all of us. And, as you achieve success, reach back and help someone else achieve their own goals. In retirement, Alma has found many ways to personally achieve and help others achieve as well. She has done this with the same knowledge and determination that she brought to IBM for 32 years. "I realize that I am most proud of the initiatives I worked on that inspired others and helped them achieve their own goals. I am proud of the Professional Skills Institute (PLI) that I helped develop for the CSU College of Engineering, and I am very proud of being a co-chair of the Texas Science and Engineering Festival in 2010 and 2011. The PLI is helping CSU engineering students develop their professional skills, and the festival (now run by SXSW EDU) inspires students to pursue STEM studies and careers." Her pride in her work is well-justified. We look forward to the insights she will offer students, professionals and educators at GlobalMindED this year.